Welcome to the season’s 13th edition of our weekly look at fantasy running back committees. Remember when you picked Stevan Ridley in the first round of your fantasy draft? Seems like such a long time ago. In this space, we’ll attempt to read the backfield tea leaves to help you with lineup decisions. 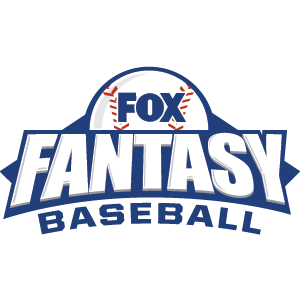 We’ll post this article each Tuesday, and offer updates in our fantasy coverage throughout the week, including in the Friday morning edition of the FOX Sports Fantasy Buzz Blog! As usual, this series will focus mainly on the more volatile and/or 50-50 situations, but there will be some non-committee and injury notes as well. If you have any questions, the FOXSports.com fantasy staff is always happy to help. The best ways to reach me are via Facebook or Twitter. Any tier recommendations below (e.g., RB2) are meant for 12-team standard leagues. Finally, start/sit recommendations for the players below always depend on the rest of your roster. For specific RB rankings, click here. Rankings will be available at around noon ET each Wednesday. Rashard Mendenhall carried 18 times for 76 yards while Andre Ellington (knee) was held out of Sunday’s game against the Eagles. Cardinals head coach Bruce Arians said Monday that he didn’t think Ellington would practice on Wednesday, but is hopeful that he’ll be on the field Thursday or Friday. Stay tuned. John Harbaugh talked last week about going with the “hot hand” at running back, and on Thanksgiving night, that meant 18 touches (12 carries, 32 yards; six receptions, 38 yards) for Ray Rice, and a dozen (nine carries, 35 yards; three receptions, four yards) for Bernard Pierce. What will the Week 14 matchup against the 23rd-ranked Vikings’ run defense bring? Probably another 60ish-40ish split. Stop me if you’ve heard this before: Due to workload alone, Rice is an RB2 this week. Pierce can be considered in flex territory. SPILLER TIME! Everyone’s favorite fantasy bust busted a 77-yard run in the first quarter and a 36-yard TD jaunt in the fourth en route to a 15-carry, 149-yard day against the Falcons. If Spiller is finally healthy, more of this could be coming down the stretch, though the rest of the Bills’ opponents aren’t as run-friendly as the Falcons. Spiller looks like a strong RB2, while teammate Fred Jackson (11 carries, 42 yards, TD; four receptions, 36 yards, TD), is in the same tier, albeit slightly lower on the totem pole. The red-hot Panthers expect Williams (quad) to practice Wednesday after missing Week 13, and that makes the team’s backfield a toxic fantasy mess once again. A matchup with a team like the Chargers (4.9 yards per carry allowed) is just the kind of game in which BenJarvus Green-Ellis (20-92-1) will get more carries than Gio Bernard (14 carries, 57 yards). Though the Colts’ run D ranks 28th with 128.6 yards per game allowed, look for Bernard to regain enough of the workload (and to catch enough passes) to sneak back into RB2 range. Nice game for Willis McGahee (14-57-1), who split the workload with Chris Ogbonnaya and Fozzy Whittaker (seven carries each) against the Jags. In Week 14, these guys might face a stacked box against the Patriots with a guy named Alex Tanney at quarterback because the rest of the team’s signal callers have concussions. I don’t care if the Pats rank 31st against the run – you should plan to avoid this backfield situation. Joique Bell had 19 carries to Reggie Bush’s 20 on Thanksgiving mainly because the Lions were up by a jillion points for most of the second half. Don’t expect the same thing to happen again this week against an improving Eagles’ defense. Bell is a flex candidate, and that’s all. Roll with Bush if you own him. A hobbled Knowshon Moreno (knee) ran 15 times for 18 yards against the Chiefs, while catching four passes for 72 yards and a score. Montee Ball picked up some of Moreno’s slack, running 13 times for 117 yards. You know what happens next? A healthy Moreno doesn’t get worked as hard as long as Ball is effective, and that vaults Ball firmly into Flexville for the Week 14 matchup against the mediocre Titans’ defense. Moreno owners shouldn’t panic, but they also shouldn’t expect any more 37-carry games. Disclaimer: As soon as Ball fumbles again, everything written in the previous paragraph will be moot. You haven’t waived Trent Richardson yet? After Sunday’s five-carry, 19-yard dud, you should clearly stop waiting for his turnaround. New starter Donald Brown (14-54-1) is still kind of boring, but he’ll be flex-worthy at Cincinnati this week. A healthy scratch for Stevan Ridley? Ouch. Shane Vereen is still the best back to own here, but he’s not going to be the 20-carry type any time soon – think 10 carries and 5-8 receptions per week, which is just fine. LeGarrette Blount (12-44-1) was solid against the Texans, but I don’t trust him one bit. Brandon Bolden is too inconsistent to trust. Sorry about Monday’s four-carry, zero-yard performance, Pierre Thomas owners. On the bright side, the game was a blowout so early that it probably didn’t portend future usage for the Saints’ backs. On the not-so-bright side, the Saints face the Panthers’ second-ranked run defense this week. Thomas can start depending on your fantasy backfield situation, but this matchup is a tough one. Darren Sproles (seven receptions, 32 yards vs. SEA) is probably PPR-only until further notice. Chris Ivory had 13 touches to Bilal Powell’s 10 against the Dolphins. With a home game against the 10th-ranked Raiders’ run defense (102.8 yards per game allowed), Ivory will need at least 20 carries to have the chance at real value. I bet he’ll get it, and I’ll be making him a low-end RB2 (or close to it) this week. I was all ready to write, “Committee over. Rashad Jennings is the man here.” Unfortunately, Jennings suffered a concussion against the Cowboys, and we won’t know about his status until later in the week. However, in a road game against the nasty Jets, I’d start an active Jennings with my fingers crossed, and only start Darren McFadden is Jennings is out and my alternatives are pretty bad. Danny Woodhead might be 14th among running backs in FOXSports.com fantasy scoring, but he hasn’t had more than 10 touches or 70 yards from scrimmage in any of his last four games. If I owned Woodhead in a standard league, I’d consider benching him against an improved Giants’ defense. Ryan Mathews ran 14 times for 61 yards and caught five passes for 31 yards against the Bengals in Week 13. Has he actually become a dependable RB2? Yes – yes, he has. If you have questions on any RBBC situations or think other teams should be added to the mix next week, contact me via Facebook or Twitter. Thanks!